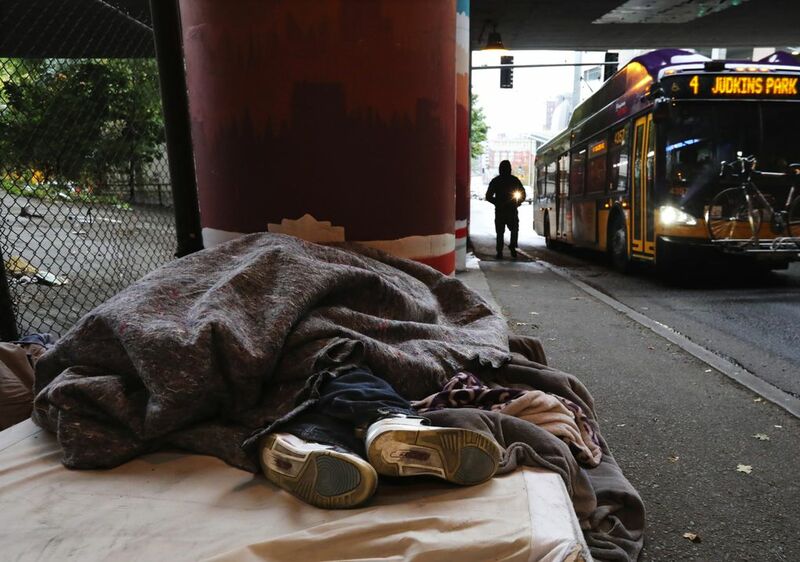 Homelessness is overwhelming West Coast cities: A recent AP tally found that the number of people on the West Coast sleeping outside, in a bus or train station, or in an abandoned building or vehicle, climbed 18 percent from two years ago, to 105,000. But what’s the price tag on this problem? In King County, it’s over $195 million, including city, county, state, federal and private philanthropic spending. As shown in the graphic, a web of different funding sources are addressing this problem. 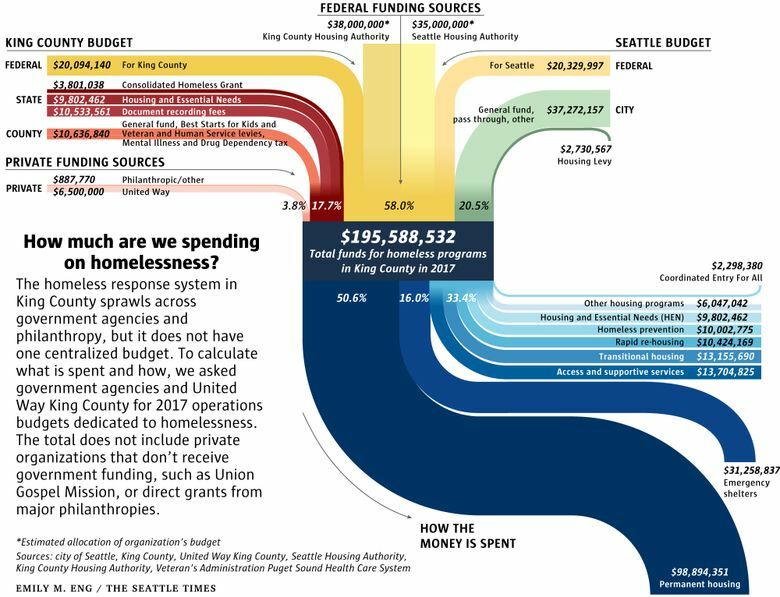 For instance, federal money goes into both King County and Seattle’s budgets to address homelessness, but it also comes straight from the U.S. government through the federal King County and Seattle Housing Authorities. It goes to everything from shelter to homeless prevention to Coordinated Entry. And this web of funding is in flux. Seattle is in the middle of changing strategies, focusing more funding on housing and rental vouchers while transforming its emergency shelters. But how effective is this money? All Home, the coordinating agency for homelessness policy in King County, tracks this whole system’s performance on its website. All Home measures success by looking at how many people left shelter or supportive housing for permanent housing (35 percent from July 2016 to July 2017) how long people stayed in a shelter or supportive housing (74 days on average), what percent of people returned to homelessness, (8 percent), and what percent of beds in emergency shelters are full (80 percent). Right now, only two of those metrics are meeting their minimum standards: returns to homelessness, and what percent of beds in shelters and housing are full.